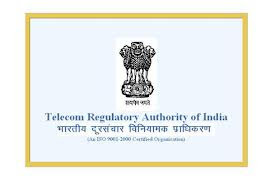 The Telecommunications Regulatory Authority of India (TRAI) ordered on Tuesday to make new available TRAI tariff decoders and other digital TV equipment at affordable prices. TRAI said in a statement, said that the purpose of the tariff orders providing the same set of rules for decoders for digital TV and CPE cable direct to home (DTH), in order to ensure interchangeability effective corporate. Tariff orders for decoder and CPE available that is required to TV signals for cable dth TV and DTH services are received, at reasonable prices, as well as to protect the interests of service providers have been designed, TRAI said. After the tariff orders cable operators and DTH service providers can offer different decoders EPC and consumers different rental plans and deposit. The order are ways that service providers cable dth STB with a monthly rent of Rs 50.66 and Rs 55.66 offer (including VAT), if the deposit Rs 400 or RS 800, respectively. In the case of DTH service, the monthly rent for the CPE for a rent of Rs 71.75 per month can be proposed if the deposit Rs 500 and Rs 65.50, if the bond is Rs 1,000. The deposit will be returned to the participants at the end of three years, and the STB or CPE becomes the property of the customer. As with the other options to deposit the monthly rent will be adjusted in three years. Service providers can use with cable decoder Rs 46.80 and Rs 32.93, if the deposit is Rs 400 and Rs 800, respectively. Similarly, DTH may CPE revenue of Rs 60.66 and Rs 43.33, if the deposit is Rs 500 or RS 1000.